Foto Blog Pro is a new generation WordPress personal blog theme, that can give your readers immersive browsing experience. Foto Blog Pro blog theme polished & beautifully balanced pages make it an ideal WordPress theme for almost all types of blog. 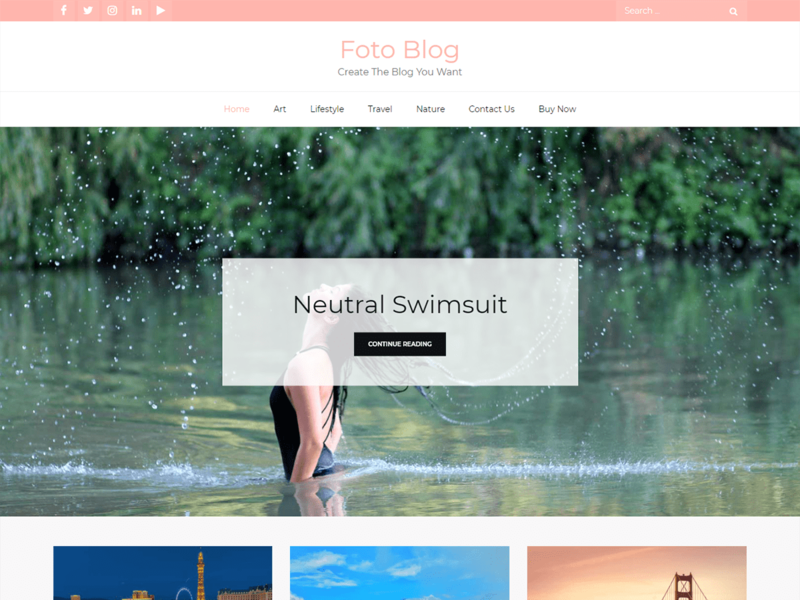 Foto Blog Pro theme is ready to use with WordPress version 5.0+ and fully compatible with Gutenberg Content Editor.